JW Marriott Phuket Resort & Spa is set in a tropical paradise with indescribable beauty and impeccable service. When you research review sites for the best place to stay in Phuket, JW Marriott Phuket is always at the top of the list. It isn’t just the beauty that makes the property special; the amenities and services are above and beyond my high expectations, especially for family activities. 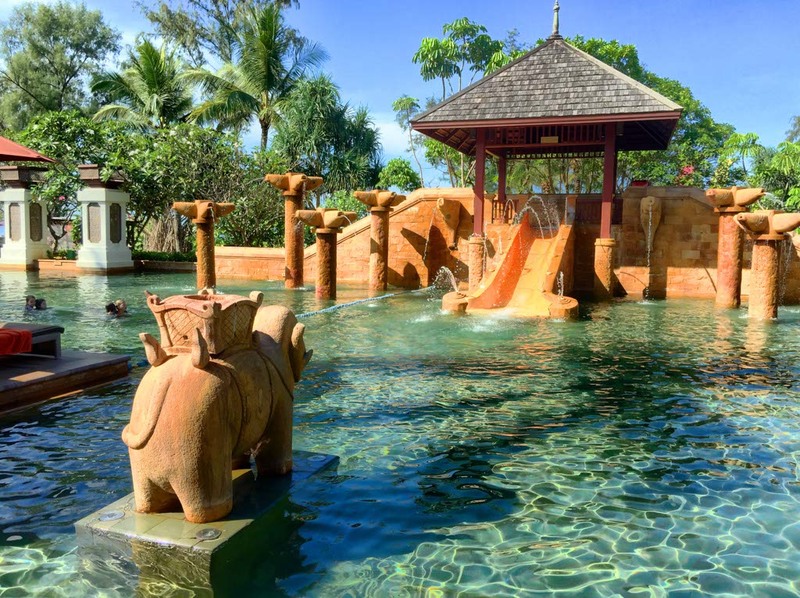 We tried several new activities daily to find the best of the best in family entertainment and here are the five best family activities at JW Marriott Phuket Resort & Spa. 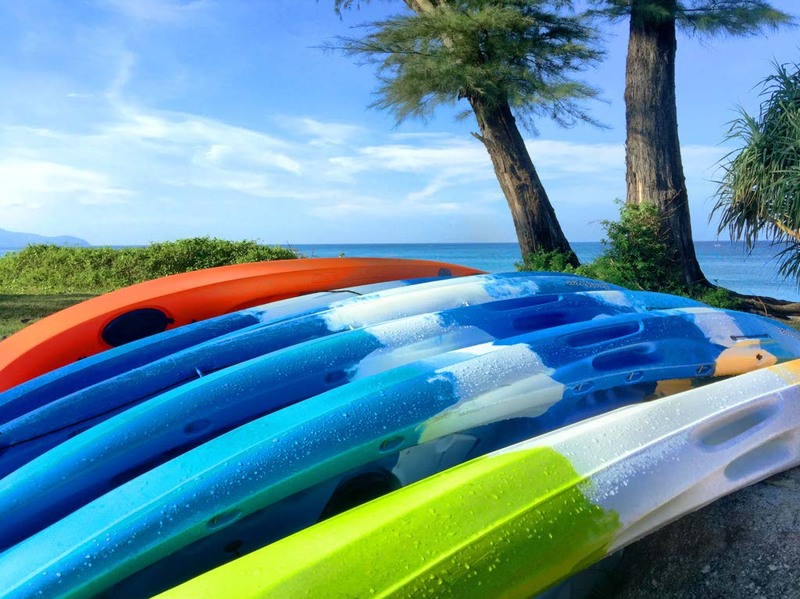 Daily, from 9 am until 6 pm, JW Marriott Phuket offeres complimentay Hobie Cat, kayaking, stand-up paddleboarding, body boarding and windsurfing. We utilized the Hobie Cat and the kayaks for a morning of family fun. Darren is a proficient sailor so Athena and I sat back while he gave us a tour of the property from the ocean perspective. Admittedly, he did most of the work while we were kayaking as well but we all enjoyed our morning on the water. Sign up is easy and all of the equipment, including life vests, is provided. Although it’s in the ocean, the waves were calm enough for Athena to join us and we loved seeing the property from another view. 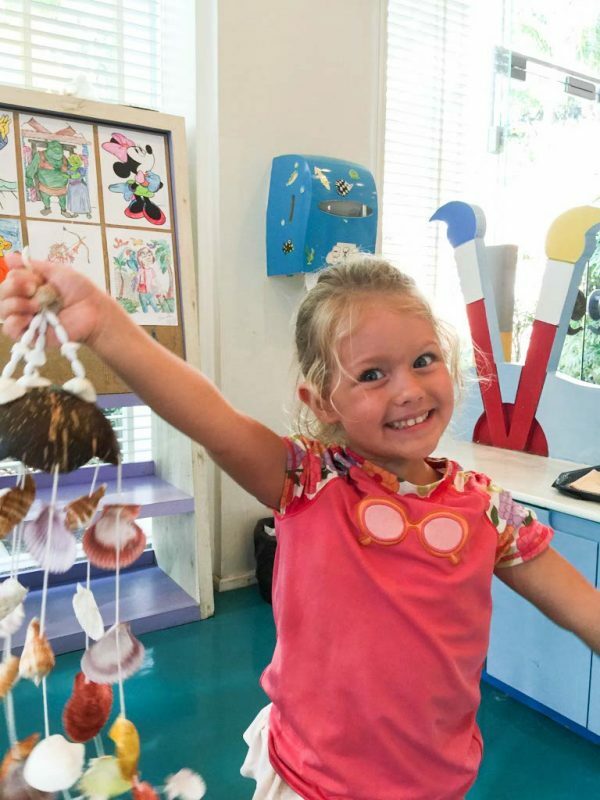 For a small fee, children can create their own seashell wind chime. There are several other unique activities at the kid club but the seashell wind chime was our favorite. It was hands-on and great for hand-eye coordination for Athena’s age. Now, we have a beautiful keepsake to take home with us from our trip to Phuket and it will always be more special because Athena made it. 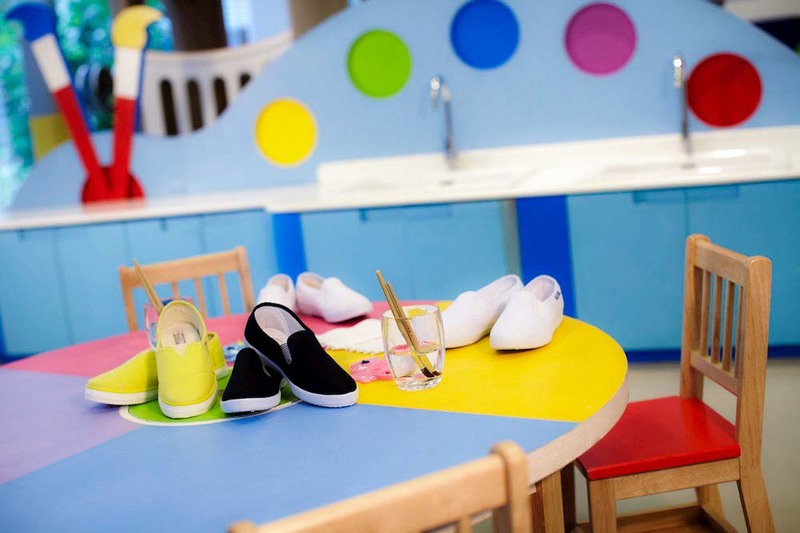 The Kids Pavilion has an array of toys, games, movies and books for children in a play area with kid-friendly furniture. There are complimentary activities daily like sand castle making, Thai language classes, coloring, fitness classes, temporary tattooing, tennis lessons and Thai dancing. There are additional activities for a small fee like shoe painting, picture frame making, canvas clock art and Batik painting. We spent at least an hour a day in the kids club. It is a fantastic environment for Athena to interact with other children in an educational setting. The massive kids pool has three different depths for swimming, fountains, turtle and elephant structures and a water slide. There is a lifeguard on duty and poolside seating. JW Marriott staff bring towels and water to your seat and there are special treats during the day like homemade popsicles. We spent most of our day enjoying the kids pool. The water temperature was warm enough to be comfortable, even if you wanted to stay in for hours and it was always clean. In the last six months, Athena’s swim level has really increased. 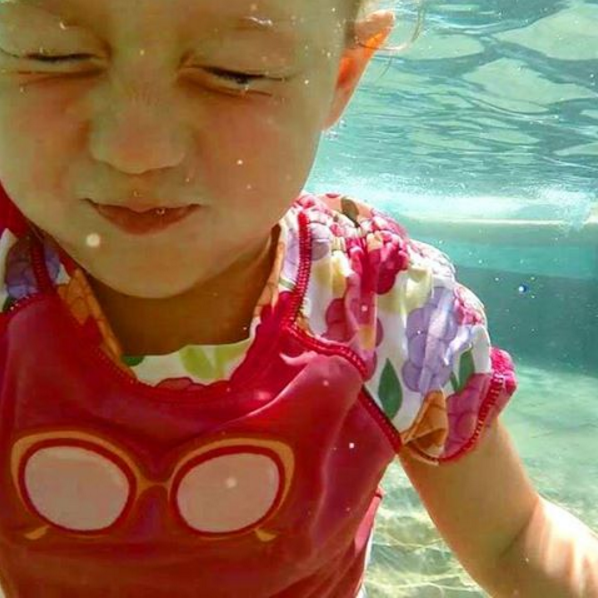 She’s comfortable with water slides, diving, and opening her eyes under water. 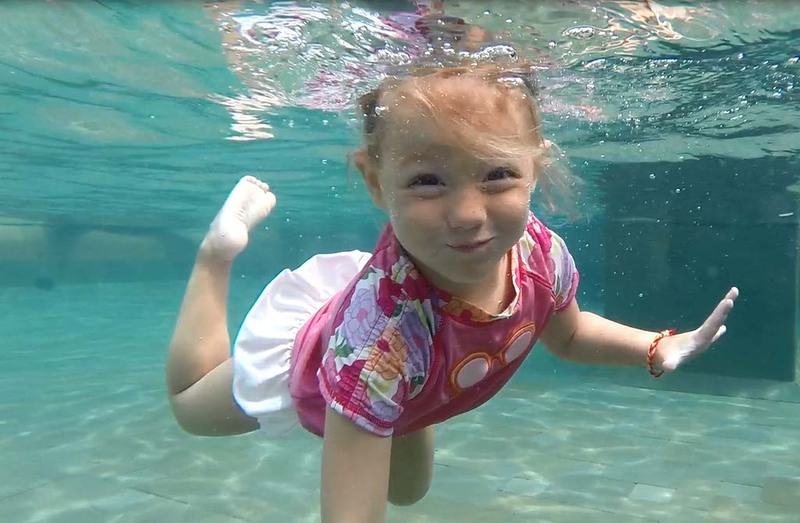 I never expected her to be such a great swimmer at 3 years old, but it makes me both proud and happy. There is no place I’d rather be than in the water. There is stiff competition for resorts in Phuket; tourism is the number one industry in the area. Resorts and hotels need to be creative with their services and amenities. JW Marriott’s activities schedule reads like a phone book and the choices are unique and fun for the whole family. As we explored the lush, tropical grounds, we saw many other happy families enjoying the property. In the pool, parents interacted with their children and soaked up precious family time. At the kids club, children interacted with both parents and other kids. The staff made it all come together smoothly. Now, I’m off for turtle feeding, Batik painting and kite flying. The family fun never ends at JW Marriott Phuket. 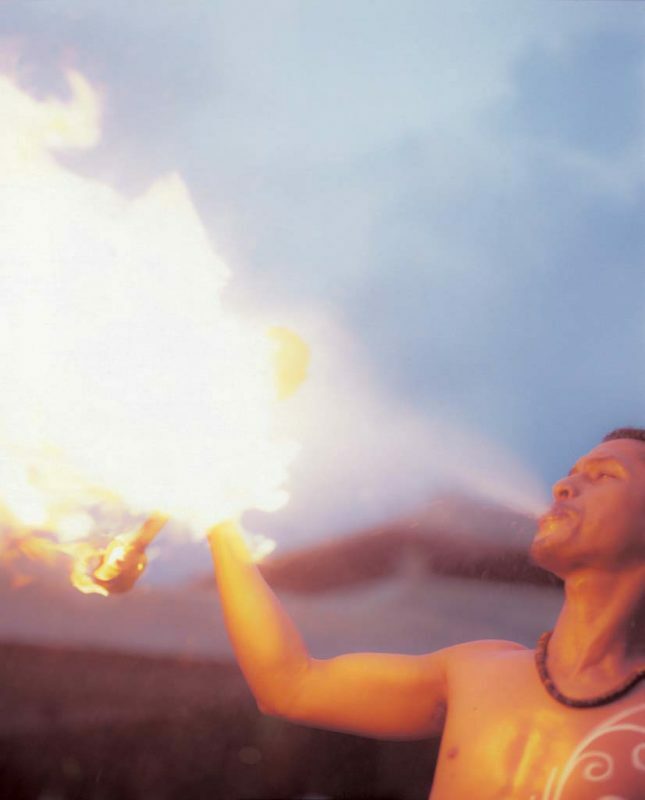 What is the most creative, interesting activity you’ve done at a resort? This looks like incredible amounts of fun. I love that they have a kids club, but I think my favorite part was the free water sports. That is always my favorite part of a resort on the beach – the option to try out some different water sport equipment. I am newly addicted to paddle boarding. I love that there are that many water sports offered complimentary! I always think this is such a big plus point with hotels. The kids’ club looks fantastic, I think I’d send my kids there just so that they could make me a seashell wind chime! The pool looks so fun! The complimentary water sports look fun too. There is plenty at this resort to keep a family busy.